The Scoop: OurTime is a premium dating site designed to connect singles over 50. The platform fosters a fast-growing international network, and its forward-thinking team plans to expand its reach by launching a TV campaign in the UK. The “Unasked” series will underscore the exciting dating opportunities available to seniors who defy the stereotypes of old age. Under the motto “our time to love together,” OurTime aims to redefine what it means to be a senior in the dating scene. My parents are in the over-60 category and are slowly learning about the aches and pains that come with senior citizenship. My mom used to warm up for the day by running a few miles in the morning. She still likes to do that, but now she pairs her workout with a nap and Advil. Meanwhile, my dad still stubbornly believes he can beat my brother and me at basketball, and he’ll keep trash-talking even when his face turns bright red and he can’t catch his breath. Although staying active is no longer as easy as it once was, my parents would rather tough it out than give up their favorite pastimes. They refuse to accept the title of “senior.” They push through the pain and won’t let age stop them from doing what they want to do and living a full, active life. OurTime, a senior-only dating site, supports people who share the mindset that age is just a number. Over the last few years, OurTime has cultivated a mature dating community and given its members a chance to feel young and desirable again. OurTime invigorates singles looking for a mature partner online. OurTime launched in 2017 to give singles over 50 a voice and help them feel comfortable with online dating. Its optimistic messaging empowers senior singles to find companionship and make the most of their time together. 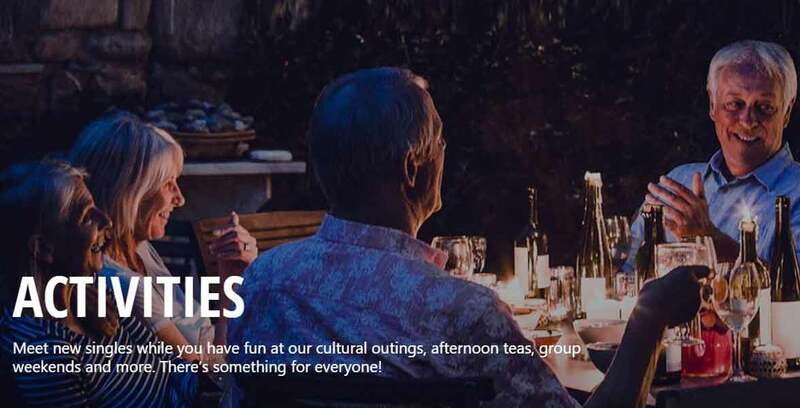 In early 2019, OurTime launched a television campaign in the UK to celebrate the vitality of its members and the possibility of online romance. The Unasked campaign shows a different side to the senior dating scene and emphasizes the joy that can come from knowing exactly who you are and what you want. OurTime’s niche dating service empowers singles of a certain age to find love and friendship. Some seniors can feel hesitant to get back out there and start dating again, but this dating site encourages its members to seize the moment and take a chance. It’s with members every step of the way. The platform uses time-tested match algorithms to put compatible profiles front and center, making it easy for singles to connect with one another online. At the end of the day, OurTime’s ultimate objective is seeing singles succeed and come into their own, and that’s why it’s proud to showcase its success stories in the upcoming Unasked campaign. The TV ads will highlight the passions, interests, and personalities of singles who used OurTime to enrich their lives. The OurTime team understands that many of today’s senior singles don’t see themselves as broken, wounded, or out of luck — they see themselves as free to pursue their passions and create new lives. The new television campaign recognizes the excitement that comes from senior dating and frames it as a chance to reclaim those youthful feelings of infatuation and love. The Unasked campaign aired across the UK on January 15, 2019, targeting over-50 singles who don’t fit the traditional stereotypes of a senior citizen. The ad featured the testimonial from a man and woman who met on OurTime and bonded over a shared passion for motorcycles. The dating site brought them together, and their like-minded interests kept them laughing and enjoying each other’s company. The new OurTime motto is “Our time to love life together,” and that basically sums up what the dating site has to offer. It’s an opportunity for singles to enjoy their hours together with a mature yet fun-loving attitude. Online dating is their ticket to romantic getaways, afternoon picnics, and intimate dinners. This insightful OurTime campaign will also reach European territories, including France and Germany, through a follow-up digital advertising effort. Just because you’re getting older, that doesn’t mean to you have to slow down and stop having fun. Many so-called senior citizens out there are still conquering the world with humor and grace. Just look at Betty White dabbing on Twitter on her 97th birthday or Liam Neeson starring in action flicks despite being in his 60s. They’re not the stereotypical old fogies watching the world pass them by. They defy stereotypes, and so do OurTime users. OurTime supports a vast and diverse community of senior singles. Some are doctors or lawyers, while others are retirees. Some are in their early 50s, while others are well into their 80s. Some just want to make a new friend, while others are hoping to have a second shot at love. It runs the gamut, and that’s the way the OurTime team likes it. The site’s mission and message aren’t restricted to a narrow type of people — there are over 6 million senior singles in the UK alone. While it is technically a niche site, it holds a broad appeal across orientations, ethnicities, and nationalities. OurTime welcomes any single adult looking for something more in their personal lives. OurTime has inspired activity-based dates and friendships between singles over 50. Thousands of singles have turned to OurTime in search of a like-minded soul at a similar stage in life. The platform’s seamless online dating experience inspires loving partnerships between people who share the same values and aspirations. It’s not always about finding someone to sit idly in a rocking chair — sometimes it’s about finding someone to go on a motorcycle adventure together, and that’s what the Unasked television campaign will highlight. My grandmother always says, “Getting old isn’t for sissies.” And she’s right. It takes courage to handle aging with grace and continue living your best life — no matter what obstacles stand in the way. Even as they approach their golden years, my parents haven’t stopped running, competing, and going after their dreams, and that relentless attitude keeps them moving forward. Singles over 50 don’t have to let their age hold them back from the things they want. We’re fortunate enough to live in a time when singles can always reach out and find someone who shares similar experiences and values. OurTime has created a community around mature daters who see age as a strength, not a weakness. OurTime’s new campaign puts a spotlight on its success stories and shows singles the joy that comes from believing in yourself. By cultivating a vibrant and active community of senior daters, OurTime has given singles around the world the power to make tomorrow better than yesterday.